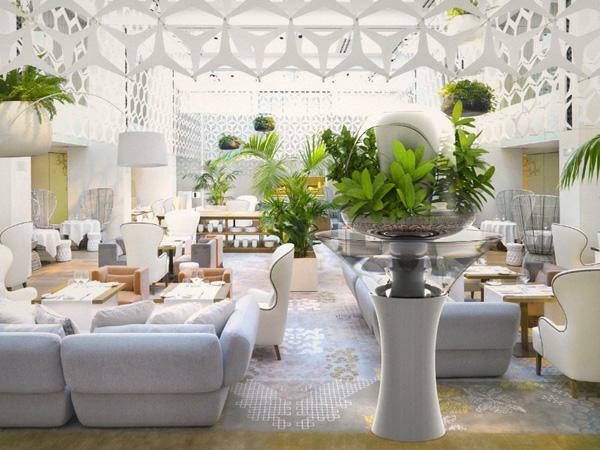 We’ll start with an irresistible image of an interior from the Mandarin Oriental Barcelona Hotel. 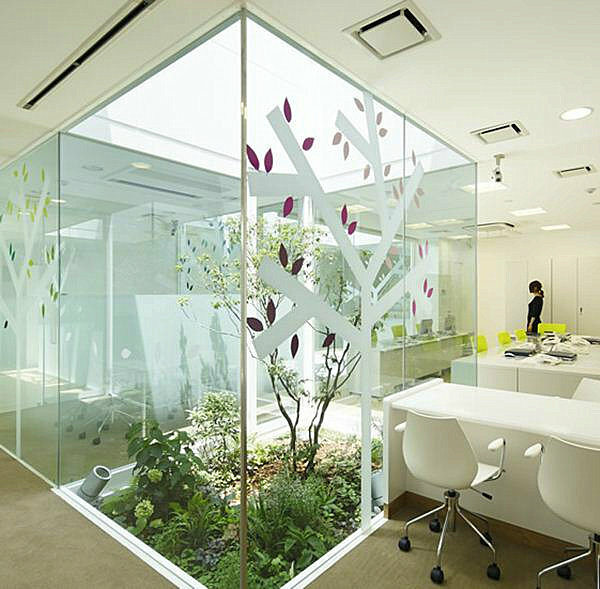 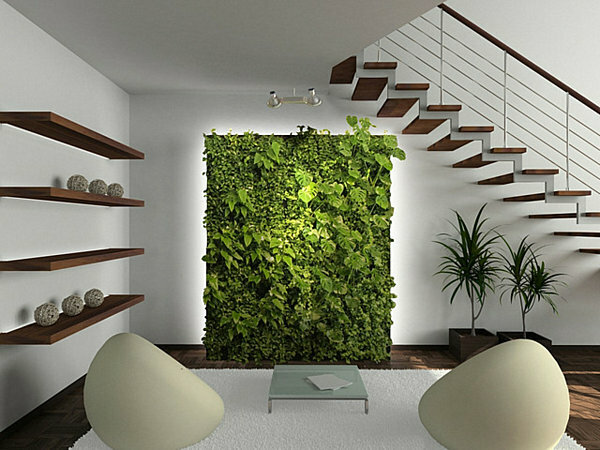 Do you want a grand garden effect in your indoor space? 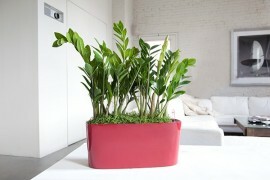 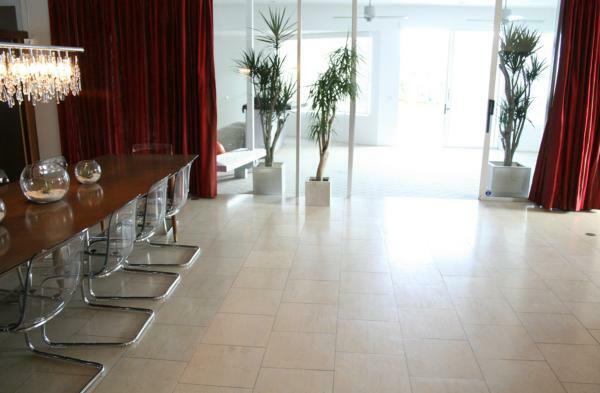 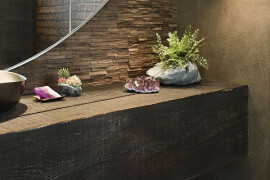 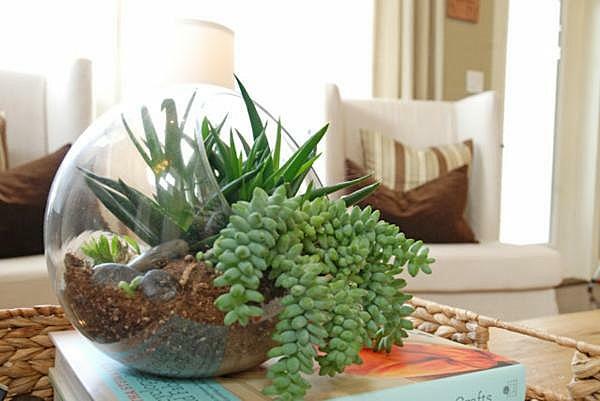 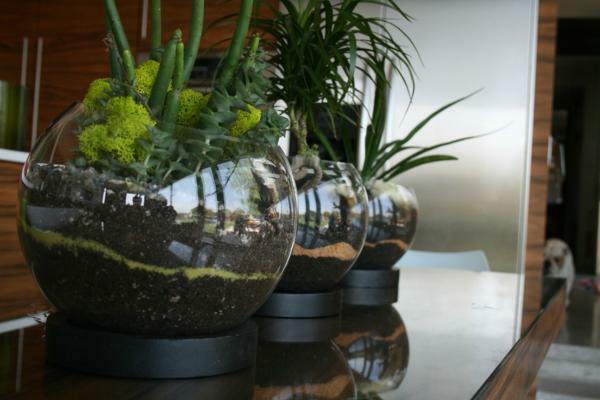 Scatter large planters throughout the room, and fill them with tropical greenery. 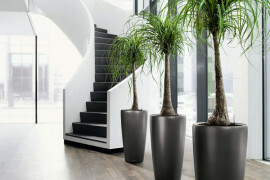 Potted palms and ferns make a big statement. 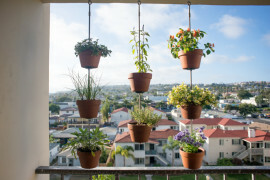 For an extra touch, sprinkle some hanging planters throughout the room. 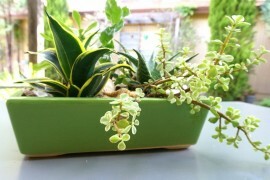 Note how the green plants below look stunning against the white palette. 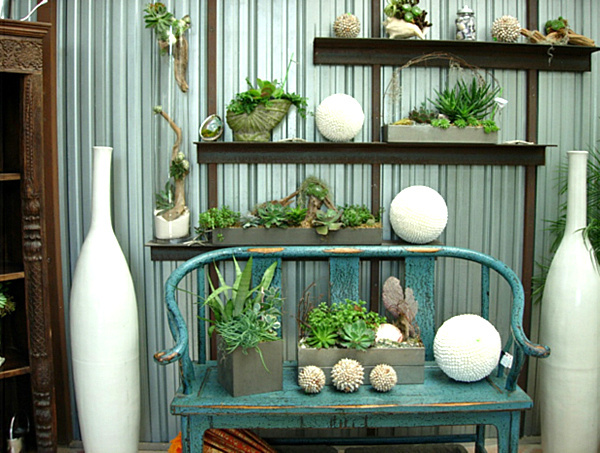 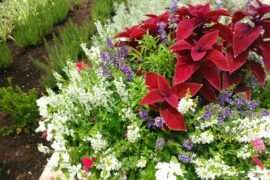 We now turn our attention to Tend, which offers customers everything from container gardening items to interiorscaping services. 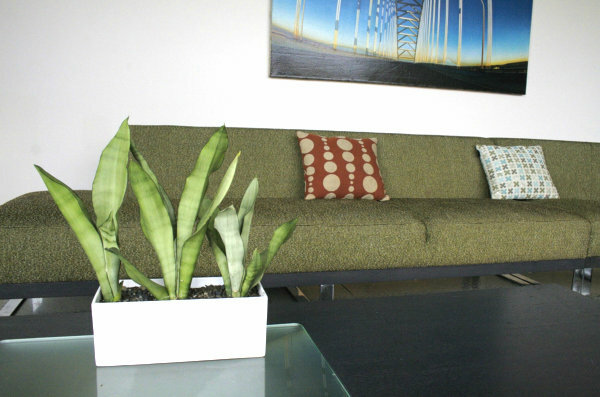 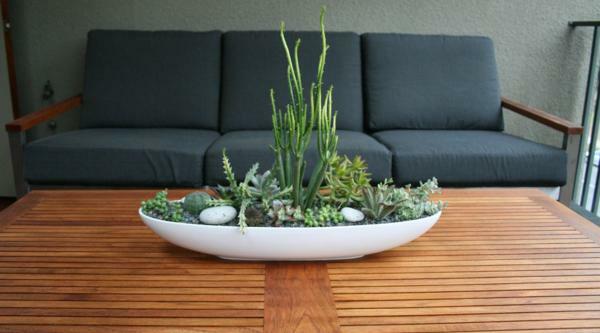 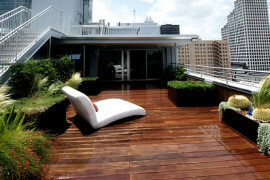 In the image below, a photograph of a residential design project, a horizontal planter makes a wonderful “gardening bed” for a collection of three long-leafed plants. 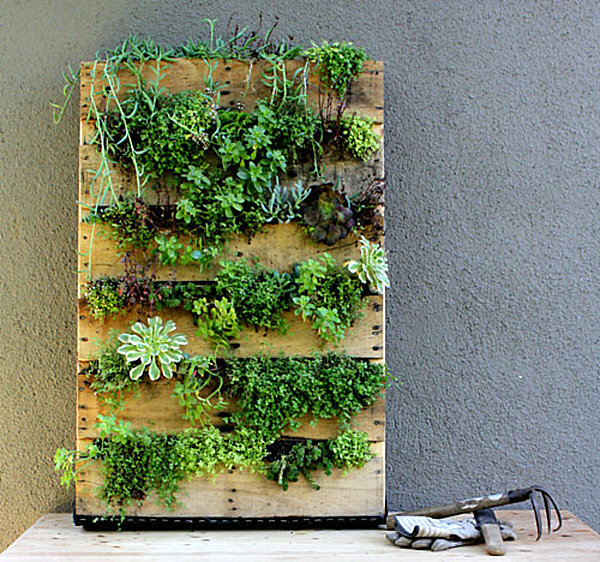 A windowsill garden is ideal for growing herbs that need plenty of light. 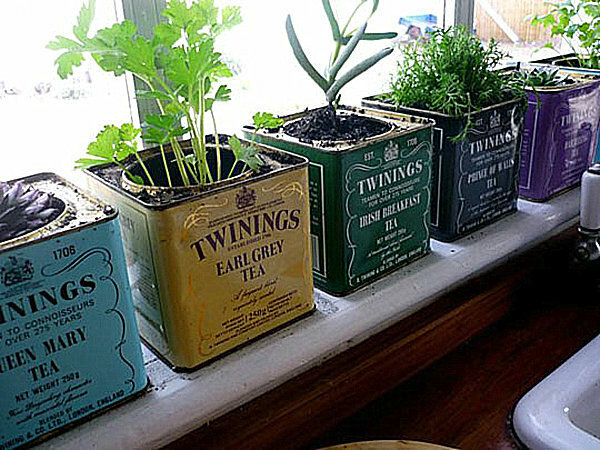 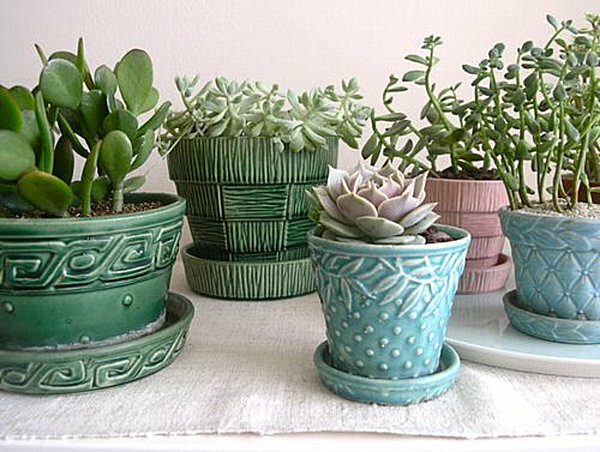 For a vintage look, use tea caddies as planters. 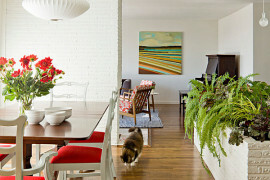 A full tutorial can be found at Apartment Therapy. 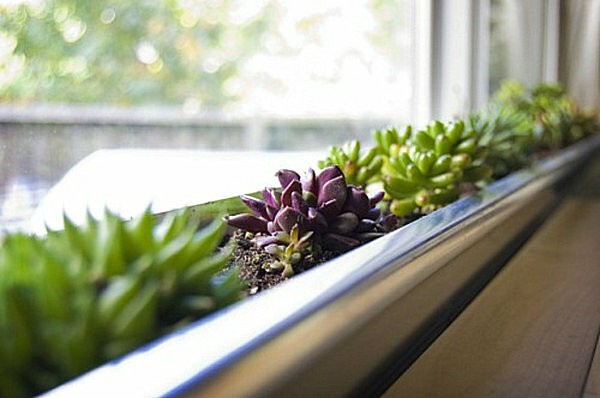 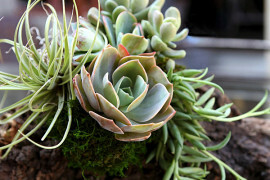 Since succulents love light, what better way to incorporate them into your space than by crafting a windowbox planter using an aluminum gutter and letting the plants reign? 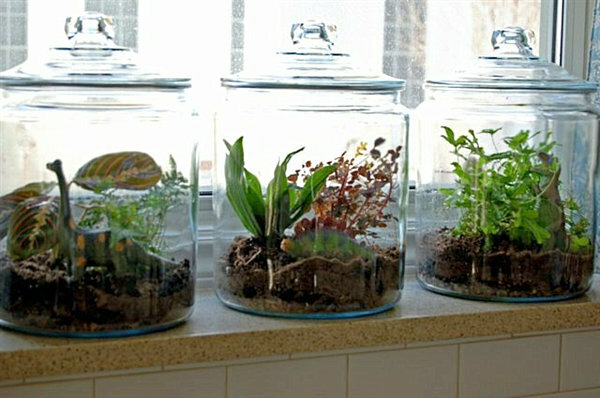 A full DIY can be found at Shelterness. 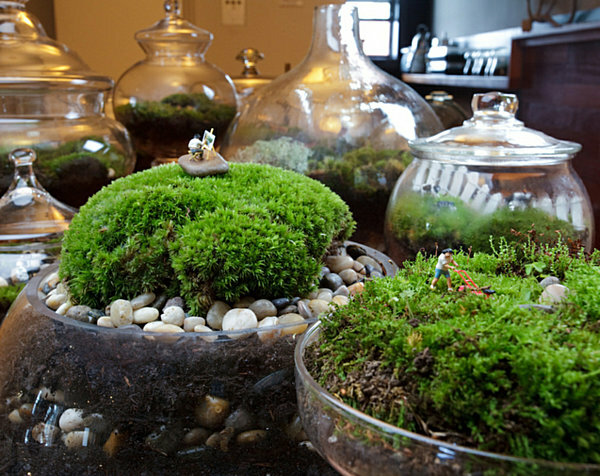 Twig has taken the terrarium world by storm, creating true mini worlds (complete with miniature people) within stylish glass containers. 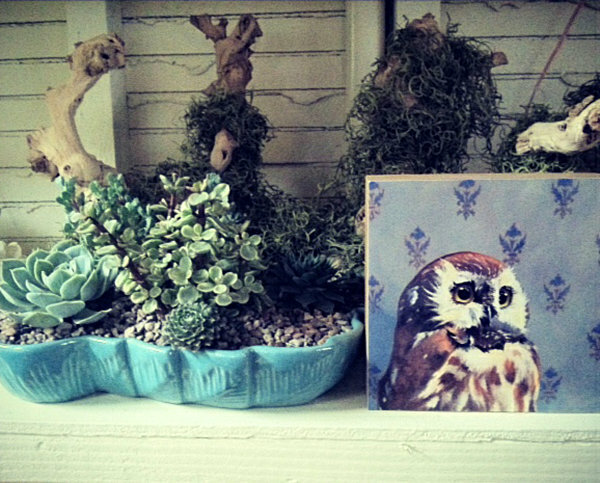 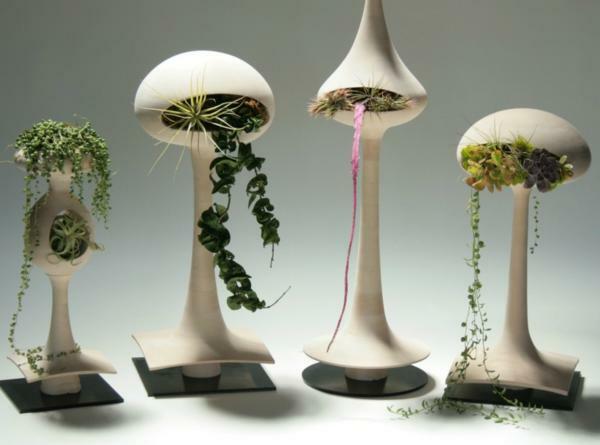 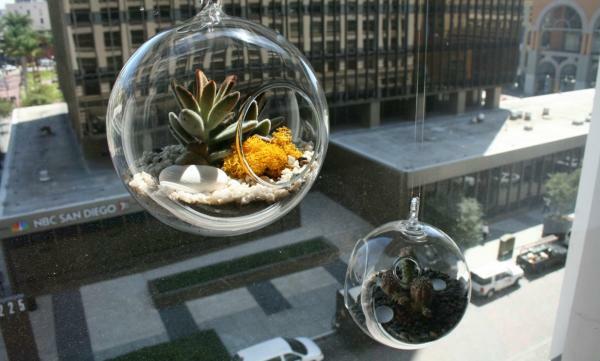 These humorous and clever scenes have taken terrarium building to a new level. 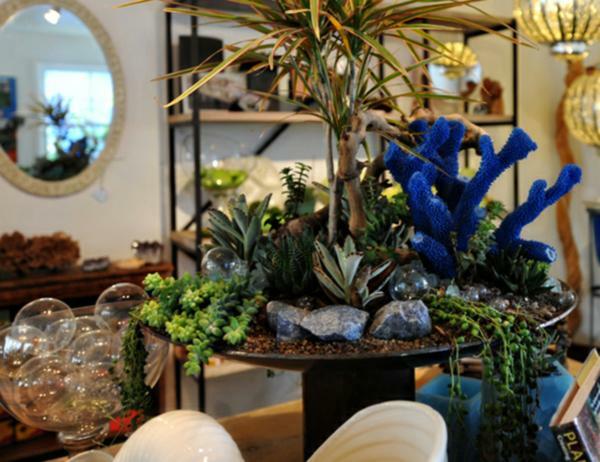 For design inspiration or to purchase your own terrarium, shop online or check out Twig’s offerings in select Brooklyn stores.